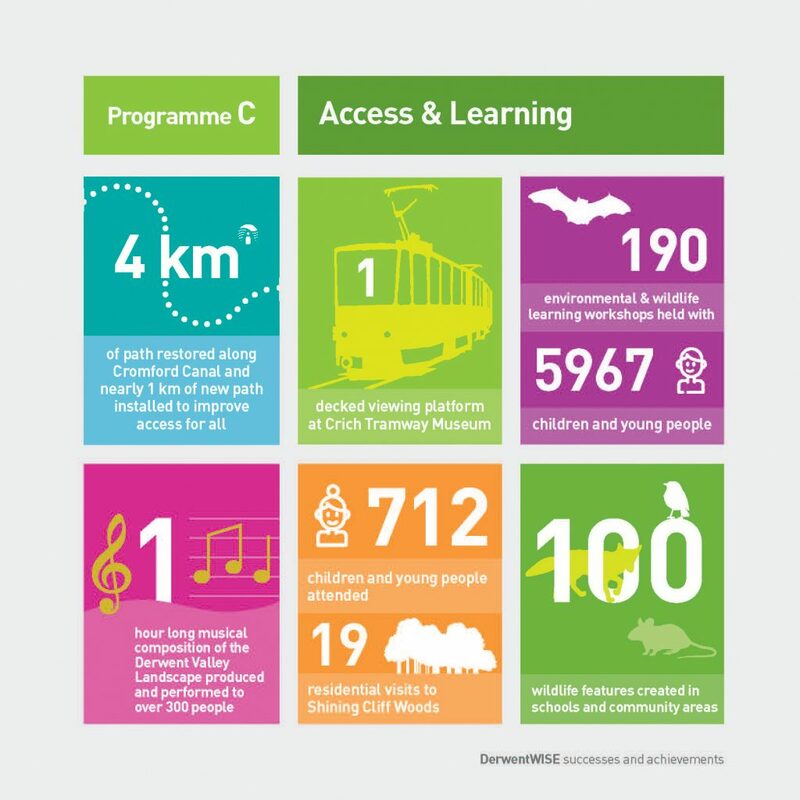 The DerwentWISE project closes after 5 years of achievements this week. Hammer Design was proud to have been invited to design, collate and print together a series of infograms to highlight and clearly celebrate the collaborative teams’ achievements. 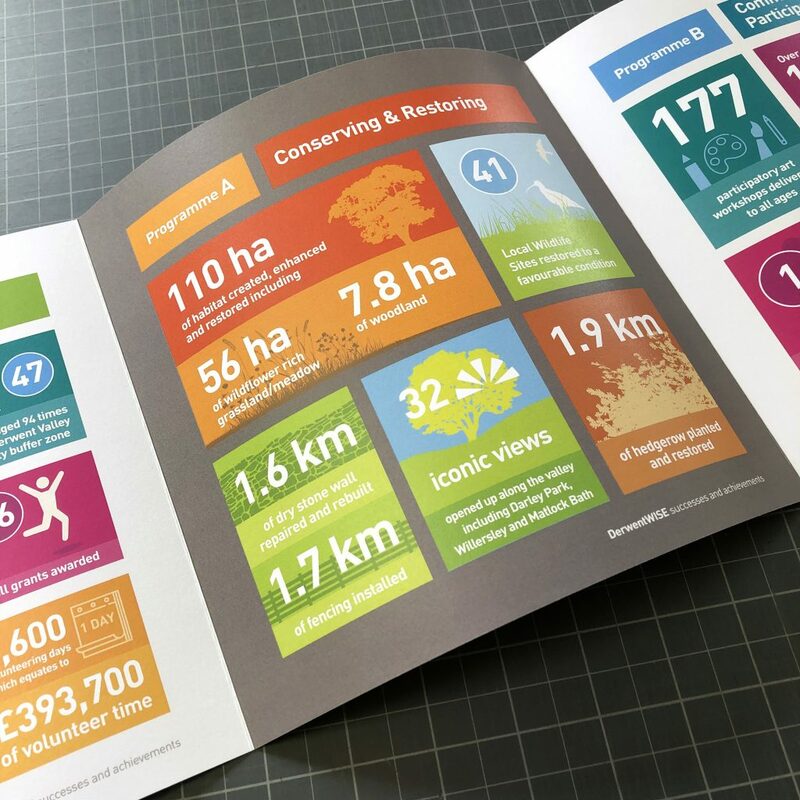 A digitally printed 6pp fold out design allowed the spread of DerwentWISE achievements to maximise the impact and broad reach of what was accomplished. 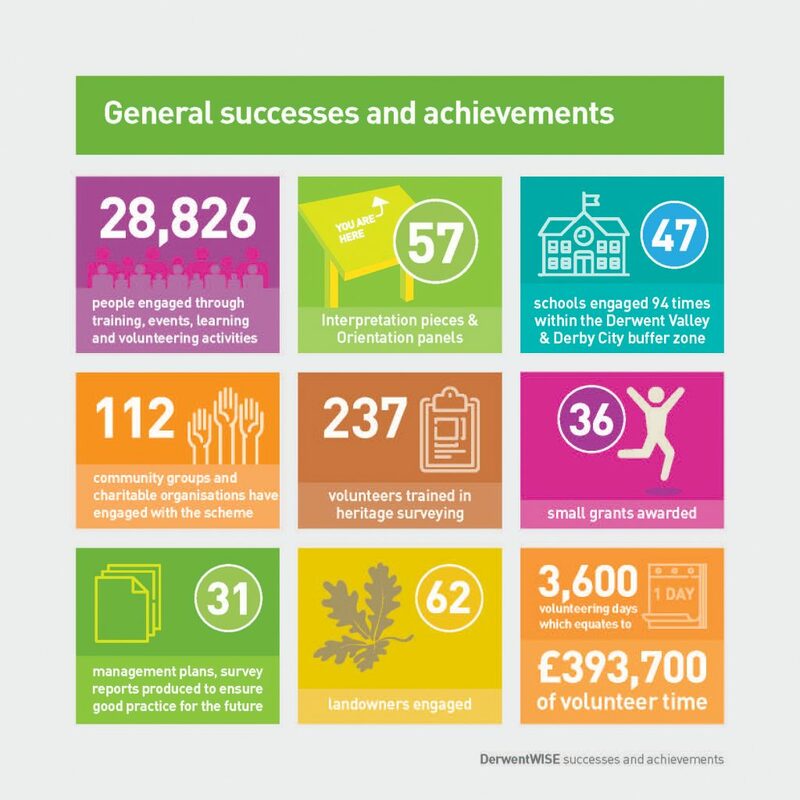 The DerwentWISE partnership work in the Lower Derwent Valley to improve and restore the landscape, and inspire people about the natural and cultural heritage in the area. The impressive list of partners and those involved. 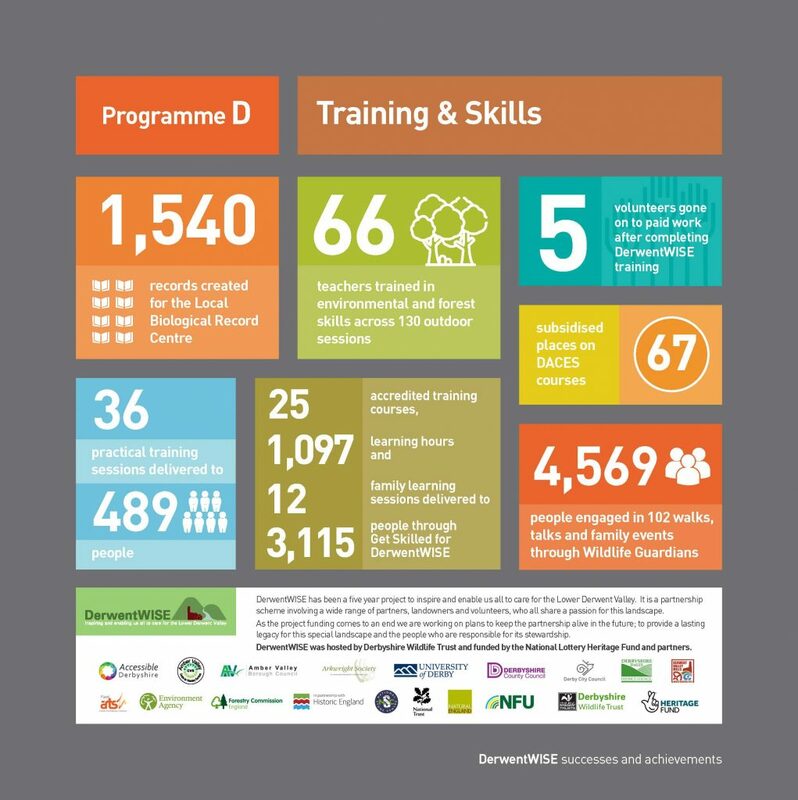 DerwentWISE has been a five year project to inspire and enable us all to care for the Lower Derwent Valley. 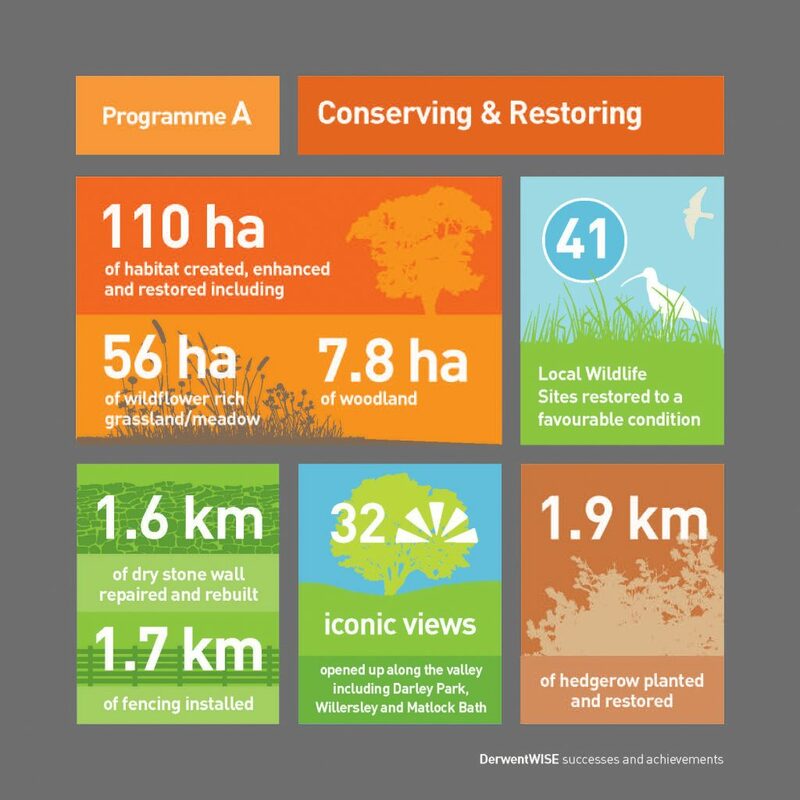 It is a partnership scheme involving a wide range of partners, landowners and volunteers, who all share a passion for this landscape. As the project funding comes to an end we are working on plans to keep the partnership alive in the future; to provide a lasting legacy for this special landscape and the people who are responsible for its stewardship. 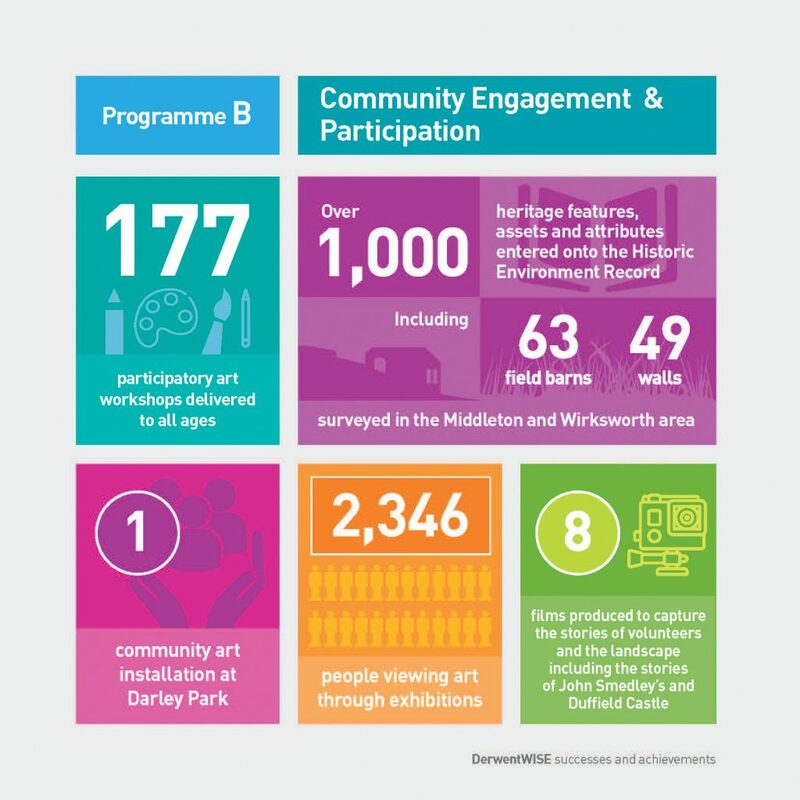 DerwentWISE was hosted by Derbyshire Wildlife Trust and funded by the National Lottery Heritage Fund and partners.